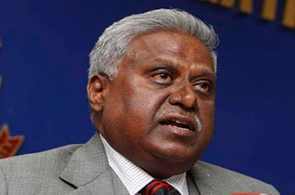 The probe into the bribery scandal that led to resignation of Railway Minister Pawan Kumar Bansal is expected to be completed within three months, Central Bureau of Investigation Director Ranjit Sinha said on Tuesday. Ruling out that there was any pressure to go soft on the case, Sinha said the scandal was unearthed after his officers went about their investigations in a professional manner. "There was no pressure. It was a professional job done by our officers without any political considerations. So there was no case of being hard or soft on the case. Everything was done keeping in mind corruption angle. After all huge amount of money was changing hands," Sinha told PTI in New Delhi. The CBI director refused to answer whether the agency was planning to summon Bansal for questioning. "Well I would not like to comment on this as the matter is under investigation.” However, he said the agency was trying to complete "the investigations and chargesheet all accused within 90 days." This will prevent the arrested accused from getting a bail. According to the law, there can be no automatic bail if the probe agency files a chargesheet within three months of the arrest of the accused. In this case, the CBI has arrested eight people including Vijay Singla, nephew of Bansal, and Mahesh Kumar, member (railway board) who were held on May 3. Others arrested included alleged middlemen Sandeep Goel and Narayanrao Manjunath, Delhi-based resident Rahul Yadav and two courier boys -- Dharmendra Kumar and Vivek Kumar. Ajay Garg, close aide of Singla, surrendered before a local court in New Delhi on May 3. Singla was caught in Chandigarh while receiving a bribe of Rs 90 lakh sent through the courier boys on May four as part of a promised amount for shifting Kumar as member (electrical) of the railway board.